As one of important anchoring tools in the boat, the anchor winch small boat becoming the hottest products in our factories. Due to high quality, cheap price, outstanding appearance, compact structure and well performance, our small boat anchor winch has exported into more than 30 countries around the world. As well all know, the anchor winch is designed on the deck or the shore to anchoring many different types of boats, vessels and ships. With the rapid development of fishery industry and marine tourism, the small boats play increasing role in our daily life. So aimed at the practical situation, Ellsen-the professional anchor winch manufacturer design and produce several kinds of anchor winch for small boats. These small boat anchor windlass produced by Ellsen has the high quality and excellent performance. Usually, the pulling capacity of our anchors for small boats is from the 15KN to 250KN, the work load from 15KN to 523KN, the motor power from 7.5KW to 250KW, and the anchor chain diameter is from 19mm to 105mm. However, rely on advanced production equipment and strong small boat anchor winch team, we can also offer the custom service for every our customers. 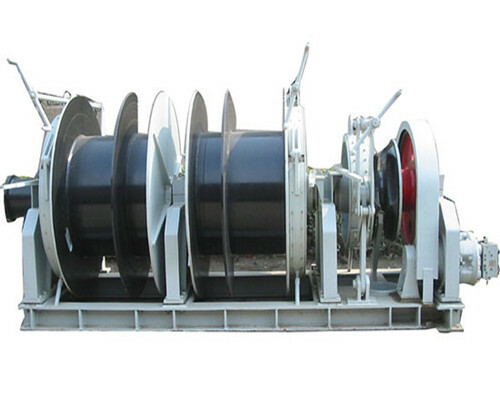 First, aimed at the different kinds of power supply, we mainly offer you four types. First is the electric small boat anchors for sale, which holds the bigger pulling capacity and high working efficiency. 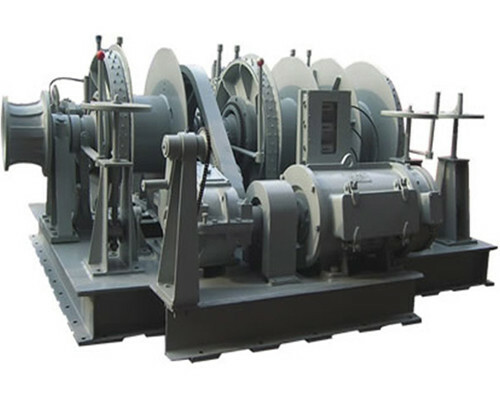 Then is the hydraulic anchor winch for small boats, under some condition, this kind of anchor winch will be regarded as the best replacement for the electric anchor winch small boat. Compared with the electric small boat anchor windlass, the hydraulic anchors for small boats enjoy outstanding appearance and compact structure. Of course, beside the electric and hydraulic small boat anchor, we are also quite confident to offer the manual and diesel small boat anchors for sale if needed. Second, from the different design method about anchor winch for small boats, we also have the vertical anchor windlass and the horizontal anchor windlass. Compared with the horizontal anchor windlass, the vertical anchor windlass is more suitable for the limited space, for example the narrow deck or cabin. Third, besides these more than 80 kinds of small boat anchors for sale, such as the stainless anchor winch, river anchor winch for small boats, we also have certain number storage of main anchor winch small boat for the buying and purchasing of our clients. In additional, we are also qualified to offer the custom service for every our customers, not only from the appearance, color, size, but also from the pulling capacity, wheel chain diameters, working load. Rapid and detailed responses for you free inquiry. Free design you small boat anchor winch plan, not only including the anchor winch chart, but the free CAD drawing and 3D simulation rendering, if needed. One year free maintenance and lifetime maintenance for our entire anchor winch for small boats. In a word, just come to Ellsen and pick up one ideal anchor winch for small boats.